Interested in rescue resources that cover topics such as search and rescue, swiftwat er rescue, and motor vehicle rescue, then here are some suggestions. This website provides information about the AMSA search and rescue capabilities. The mission of the National Search and Rescue Council is to develop and maintain an effective, efficient and integrated national search and rescue system that meets international obligations and domestic requirements. Their website is here. National Search and Rescue Manual is the result of the recent merger of the aviation, maritime and land search and rescue (SAR) manuals and is the standard reference document for use by all Australian SAR authorities. The 2018 edition is available to download at this link. The Australian Emergency Manuals Series had been developed to assist in the management and delivery of support services in a disaster context. It comprises principles, strategies and actions, compiled by practitioners with management and service delivery experience in a range of disaster events. The manuals include road rescue, urban search and rescue and flood response. In 2015 the Australian Institute for Disaster Resilience became the custodian of this collection and it now called the Australian Disaster Resilience Handbook Collection. Manuals developed by AIDR after 2011 are known as the Australian Disaster Resilience Handbook Collection. This handbook collection is found at this AIDR Knowledge Hub Handbook webpage. The Emergency Managment manual series has not been reviewed since 2011. EM manuals which are under review or classed as archived are kept in their online archives. The US NFPA Fire Codes are developed and published by the US National Fire Protection Association to minimise the possibility and effects of fire and other risks. The collection includes the US NFPA Fire Code 556 Guide on Methods for Evaluating Fire Hazard to Occupants of Passenger Road Vehicles, 2016 Edition and the US NFPA Fire Code 1670 Standard on Operations and Training for Technical Search and Rescue Incidents, 2017 Edition. Free access to NFPA Code 556 is available using this NFPA link. Free access to NFPA Code 1670 is available using this NFPA link. NSW RFS staff are able to access the collection of codes using a password provided on the RFS Intranet library website under Online Resources. This well-known text used in NASARs renowned Fundamentals of Search and Rescue (FUNSAR) course was revised and updated in 2018. Topics addressed in this practical book include an overview of SAR systems, the NIMS Incident Command System (ICS), SAR legal issues, physiology, fitness for SAR, survival and improvisation, clothing systems, safety in SAR environments, ready pack considerations/contents, personal equipment, navigation, SAR resources and technology, travel skills, tracking, basic search theory and operations, and basic rescue equipment and operations. Helicopter rescue techniques is a unique resource for rescue practitioners. It covers not only the techniques associated with conducting rescue using helicopters but also the underpinning knowledge needed to avoid disaster. The book is packed with clear, simple illustrations as well as numerous real-life examples. Based upon a landmark study, this book is the definitive guide to solving the puzzle of where a lost person might be found. Nowhere else is it possible to learn about the latest subject categories, behavioural profiles, up to date statistics, suggested initial tasks, and specialised investigative questions. Whether the subject is underground, underwater, under collapsed rubble, on land or has fallen from the sky, this book delivers what search managers need. This text teaches the crew leader to become an effective and efficient searcher and leader. It covers topics such as leadership styles, characteristics of a good leader, and practices which encourage effective team participation in the management of various resources. Topics include: command structure and integration, safety practices, map reading and navigation, search tactics, and the study of lost person behavior. It explains random traveling choices of a lost person, in addition to behaviours such as route and direction sampling. This text provides an overview of hazardous terrain, search practices, search probability, applicable reports, and the calculation of POD and POS. A NSW RFS manual containing the theory information for participants undertaking training in the land serach remote course. A NSW RFS manual containing the theory information for participants undertaking training in the ORE course. Technical rescuers need to know how to safely and effectively operate at small and large vehicle and machinery extrication incidents. This book provides all the critical knowledge and skills necessary for technical rescue teams to perform in these environments. It meets and exceeds all the job performance requirements as outlined in chapters 4, 5, and 10 from the 2008 Edition of NFPA 1006, Standard for Technical Rescuer Professional Qualifications to achieve the competencies as a Level I and II Vehicle and Machinery technical rescuer. A Holmatro publication, this book aims to promote a safe and systematic approach to the rescue of persons who are trapped following a road traffic collision, explain the concept of extrication planning and techniques that may be used during the extrication process plus introduce the rescuer to some key basic medical considerations. 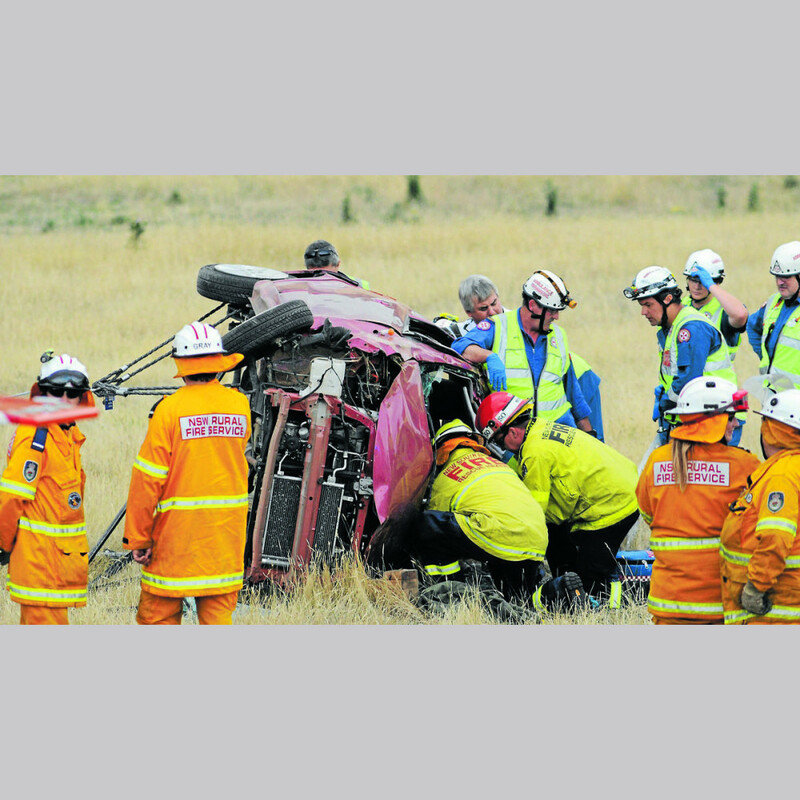 A NSW RFS manual containing the theory information for participants undertaking training in road crash rescue operations. A complete resource for water rescue personnel and their organisations. All six sub-disciplines are broken down into Awareness, Operations and Technician level chapters to better help you and your organisation train to the levels your organisation is ready to deliver in your response area. An SES guide to support the NSW SES Flood Rescue Awareness (FRA) training which provides participants with an awareness of generic flood water hazards. Published by the United States National Park Service to provide a comprehensive instruction manual for NPS personnel involved in swiftwater rescue training. Survival at sea : a training and instruction manual / Australian Maritime Safety Authority. Written in simple and practical language the manual describes how to equip your craft with survival gear, properly stowed and organised, and what to do when abandoning a ship. Two of the most common scenarios are of horses trapped in mud and incidents involving horse floats but horses also fall down cliffs and into ditches, gullies, sinkholes and septic tanks, and they become stuck in quicksand. When it is not possible to help the horse to self-rescue it is vital not to cause additional injuries or kill the casualty. An SES manual covering participation in a large animal rescue operation, working with the veterinarian and techniques for restraining the animal. The goal of this US published book is to help train hazmat response teams and other responders in disaster training, techniques, and planning.The book will also help define and sharpen training plans and assumptions. Focusing on lessons learned from real-world experiences during actual disasters, the book will help to establish a well-trained professional 1st responder, individuals, and teams. This title is only available as an ebook version (PDF format) in our collection. Please contact the library for the link and logon details. The latest edition of the IFSTA training publication prepares you to respond to hazardous materials and weapons of mass destruction (WMD) incidents. This new edition provides first responders with information to take appropriate initial actions at WMD incidents and hazardous materials spills or releases. Published by the United States National Park Service, this handbook is intended to provide a comprehensive instruction manual as well as point of reference for National Park Service (NPS) personnel involved in technical rope rescue. The rope is stuck - or too short. A crucial piece of gear is MIA. You've wandered off route into dicey terrain. An injury leaves you or your partner in need of help. In Climbing: Self Rescue, two longtime climbing instructors and guides teach how to improve your own solutions, calling for outside help only when necessary. This training manual has been prepared by the United States Department of the Interior, National Park Service for the National SAR Academy for the use of helicopter in rescue operations. A NSW RFS manual containing the theory information for participants undertaking training in Participate in a rescue operations. This document is part of the support materials for the unit of competency, PUALAW001B Protect and preserve incident scene. A text for the recognition, treatment, and prevention of wilderness emergencies. Our librarian is Katie Vandine. The library is located on the third floor of the NSW RFS Head Office at 4 Murray Rose Ave, Sydney Olympic Park NSW 2127. Our postal address is Locked Bag 17, Granville NSW 2142. This address can be used for returning books. The library is open Monday to Friday. Closed weekends and public holidays. If you are visiting, please contact the Library to check opening times. Use the search box below to locate hardcopy editions of NSW RFS training manuals and workbooks that are available for loan from your Library. Manuals and workbooks are available for a month’s loan. Looking for something light to read. Your NSW RFS library, in conjunction with the Health, Safety and Welfare department, provide all members access to our Flipster online magazine collection. With Flipster you can read the latest issues of our health and fitness magazines in addition to other titles such as PCWorld, Wild, Popular Science and National Geographic. Quickly access a magazine in your browser, or use the Flipster app on your mobile device to download a magazine to read later - even when you're offline! Contact the library for password and instructions. Would you like to receive a monthly email alert detailing the new resources, including books, reports and journal articles, that have been added into our library. To sign up, just contact the library with your email address.